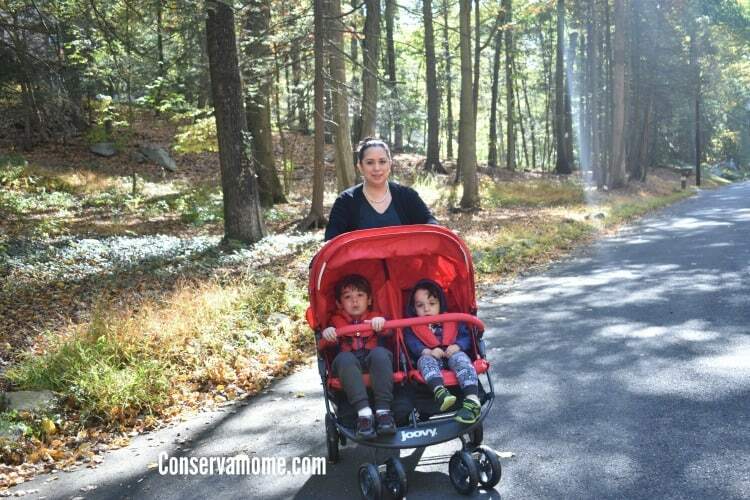 Getting out for a fall walk can be hard when you have two little ones. 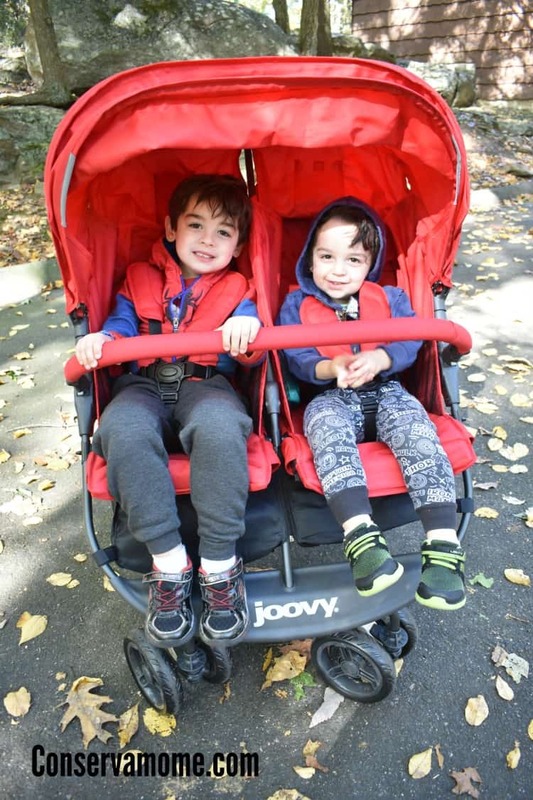 Here are 5 Tips to Enjoy a Fall walk with Little Kids & Joovy ScooterX2 Stroller.Disclosure: Although I received the stroller free of charge, my love of this stroller is 100% mine. Fall is such a perfect, gorgeous time to go outdoors and enjoy the beauty around us. Living in Connecticut we get the true beauty of fall all around us. However, going with two kids 4 and under can be tough. That’s why I’ve got some fun tips to help make a fun fall walk a blast! Because let’s face it although we may go for a walk depending on the distance you’re going to need some help to have a smooth, fun time! 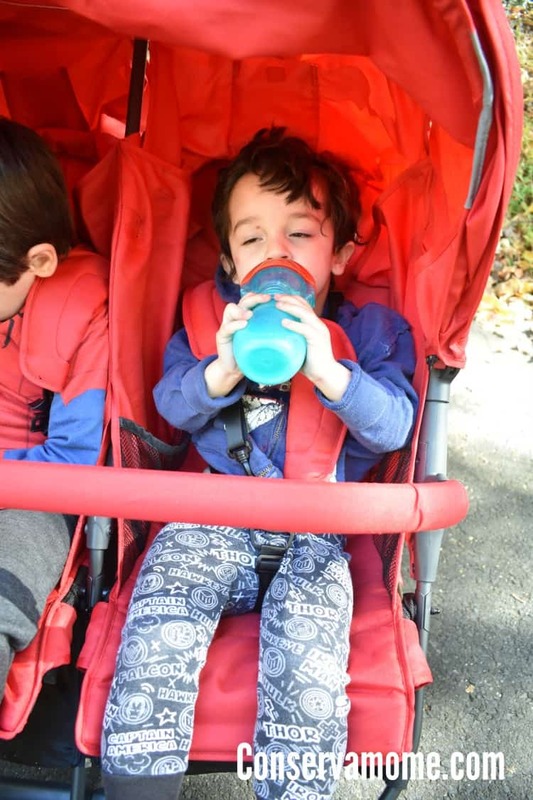 1.Take a Stroller that will handle the road: There is so much beauty to see around our neighborhood but we need a stroller that will be able to handle the road and off road. 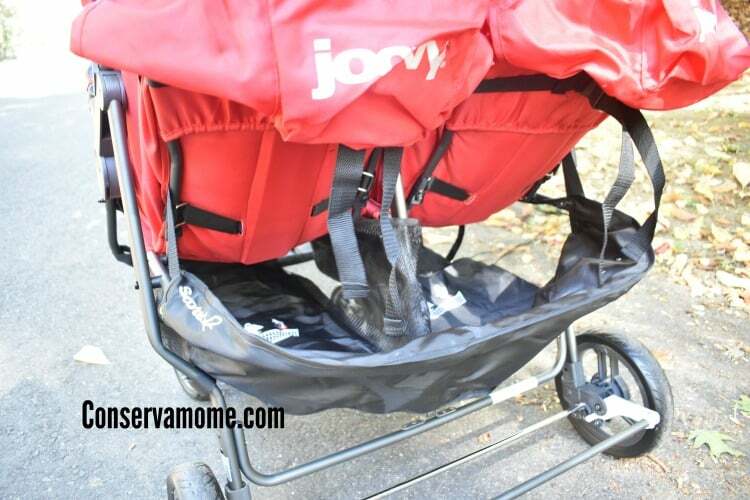 We also have lots of hills so we need something that will be lightweight to push even when you’re pushing 2 kids. 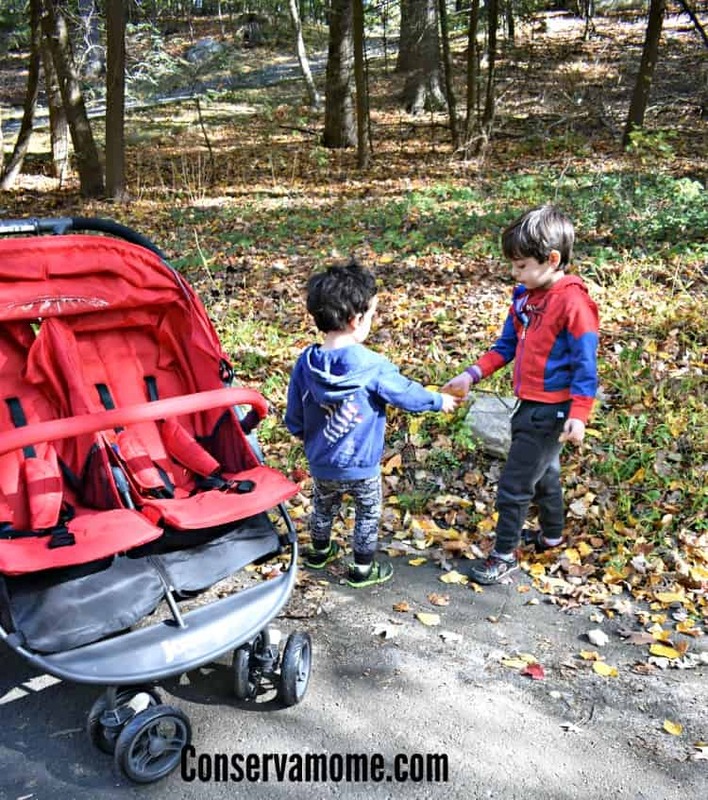 If adventure calls through a narrow path, you will need a stroller that fits even if it’s full of double the fun. 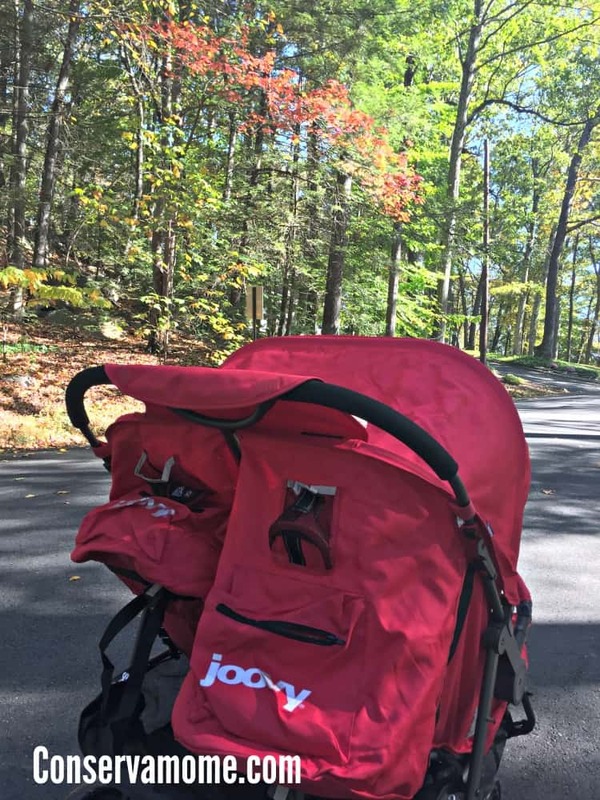 With a narrow width of 30”, the Joovy Scooter x2 stroller can easily move through the smallest of openings but get us to where we need to with it’s large wheels. The 7” front wheels and 9.5” rear wheels provide a smooth ride and exceptional maneuverability. 2. Enjoy the view: You’re going to want to stop and see everything around you when walking around in the Fall splendor. So being able to get in and out of the stroller should be a breeze. The fact that both your kids can also enjoy the beauty around them at the same time without anything obstructing their view is a huge plus as well! However, keeping them safe when you don’t want them out of their seats is a breeze as well with a removable bumper bar and 5 point harness seat belt. Most important you can enjoy the view on your walk while keeping an eye on your little ones with the large peek a boo window. 3.Make sure you have storage to place all the “treasures you find”: You’ll find a ton of great “treasures” when out for a fall outing. From gorgeous colored leaves, to lots of pine cones and acorns. So what better place to store them than in the zippered pockets on the Scooter x2 where you also have plenty of space for keys, wallet, and phone. Have something bigger? Then place it in the large storage basket below. and two great side pockets in each seat you’ll all be able to store your drinks, or snacks in an accessible location while out on your adventure. Make sure to dress accordingly and be ready for the elements when on a fall outing because the weather can be nice and crisp and change at a moments notice. 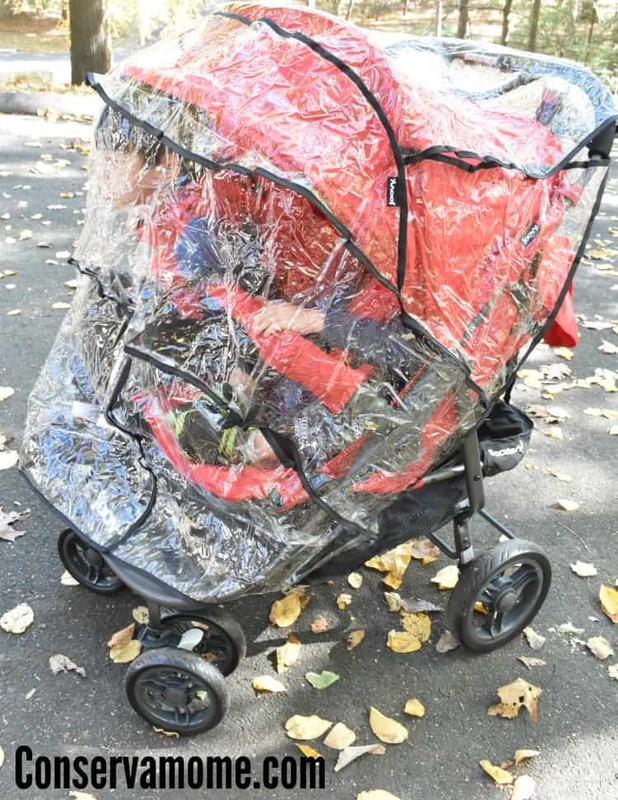 Thankfully with the Scooter x2 we’re always ready because you can keep everyone dry with the handy rain cover (sold separately but well worth getting) that instals easily when the weather changes as quickly as your toddler’s mood. Going on a fun Fall adventure is a must during this gorgeous time of year. Just because you have little ones doesn’t mean you need to be limited to the path or route you take. Thanks to the Scooter X2 you’ll be able to explore the beauty around you easily and in Joovy style. 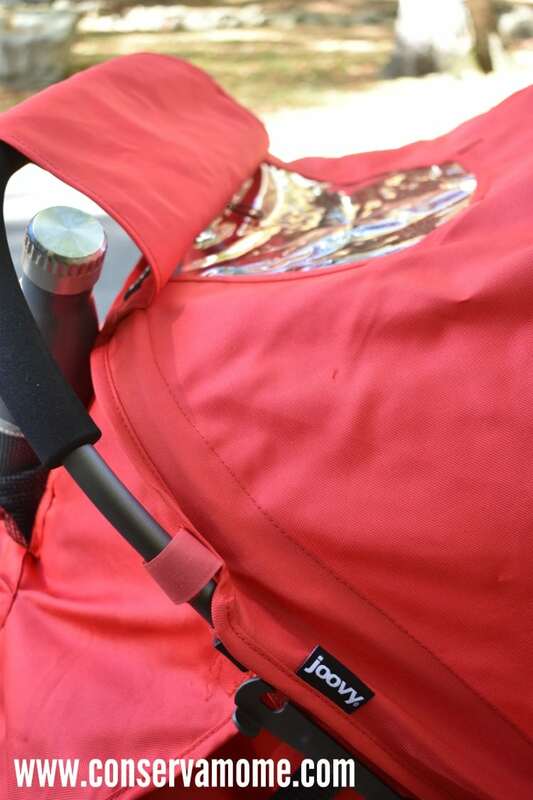 This fantastic stroller weighs 32 pounds and folds flat (with one hand! )for easy transportation wherever you may need to go. Each seat holds 45 pounds or a total of 90#’s. 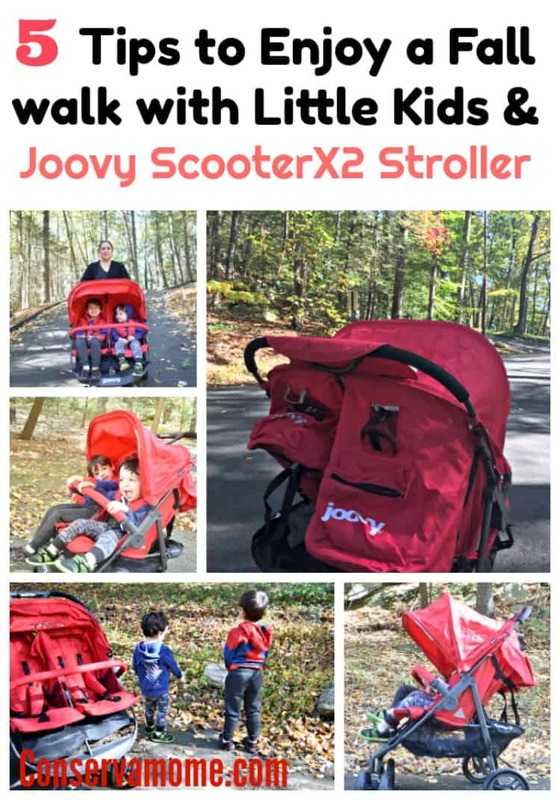 This stroller is a must have if you have little ones close in age or twins and comes in some gorgeous colors like the Red one I have. Wow what a great stroller! What an awesome stroller!! Once again I adore Joovy and they never disappoint! I love the bumper bar and the storage!! That rain cover is great too!! My son loves rainy days and we don’t let any weather keep us trapped indoors!! What a great stroller. looks easy to navigate and comfortable. What a great stroller. Wish they had strollers this nice when my kids were little. Love your fall pics also. Great review. 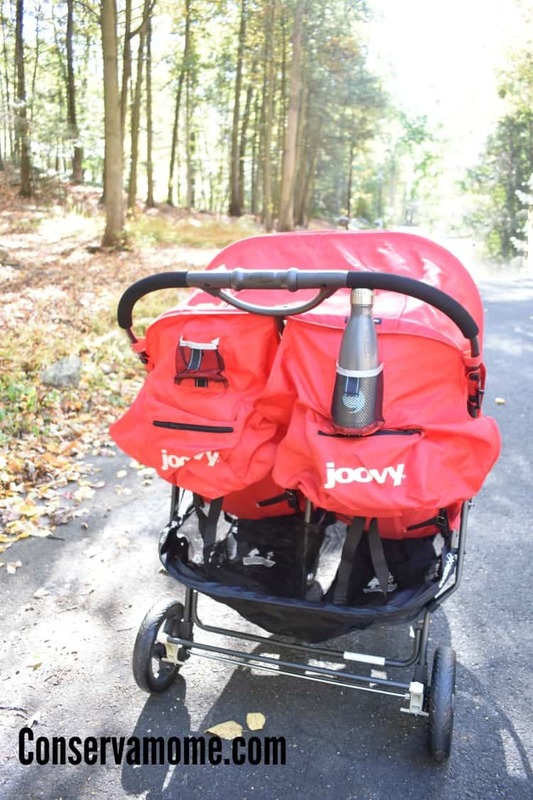 I am looking for a new double stroller and I’m glad to see your thoughts on the Joovy!